The Liverpool Tribune: HAVE WE DISCOVERED THE MAGIC FORMULA FOR SUCCESS? HAVE WE DISCOVERED THE MAGIC FORMULA FOR SUCCESS? Liverpool's stunning 7-0 win at Maribor in Slovenia, finally laid bare the frightening talent of Jurgen Klopp's team. Solid in midfield, razor-sharp in going forward, lethal in scoring goals from every player and every angle and another clean-sheet under their belts. It all came good for Liverpool in the Champion's League this week. With the positioning of under-used James Milner in midfield in this game, Liverpool had a dominance they have seldom felt all Season. Salah, Firmino and Coutinho prospered against poor opposition in their own back yard scoring seven unanswered goals due largely to Milner's experience, craft, vision and guile in midfield that has been hitherto lacking in a Liverpool performance this term. 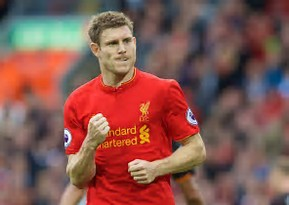 Is a James Milner stint in midfield the answer this Season? When you stop a 7 game winless streak and turn it into a rout by Liverpool, then Milner is certainly a name Klopp should have on his team-sheet every game, experience counts for everything.